As well as an amazing place of history and heritage Dublin Bay is also an important home to many species of wildlife. 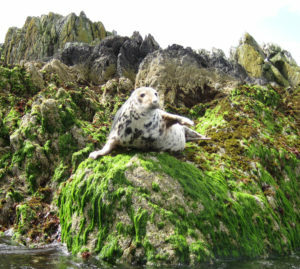 Numerous grey seals thrive in the bay, and there are large colonies of birds at various locations. 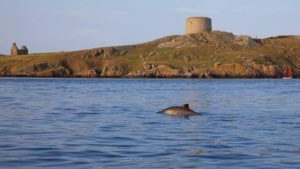 Dublin Bay is home to puffins, gulls and guillemots, fulmars, gannets, razorbills, cormorants and even extremely rare Roseate Terns make their home on Maiden Rock. The bay is known for mackerel, wrasse, dabs, pollack, eels and dogfish. If you are lucky you may even catch a glimpse of bottlenose dolphins sporting in the Bay.